H.13943 - Conveniently located on the Northern end of Fort Myers Beach, enter the gates to the courtyard of this stately Mediterranean gem. 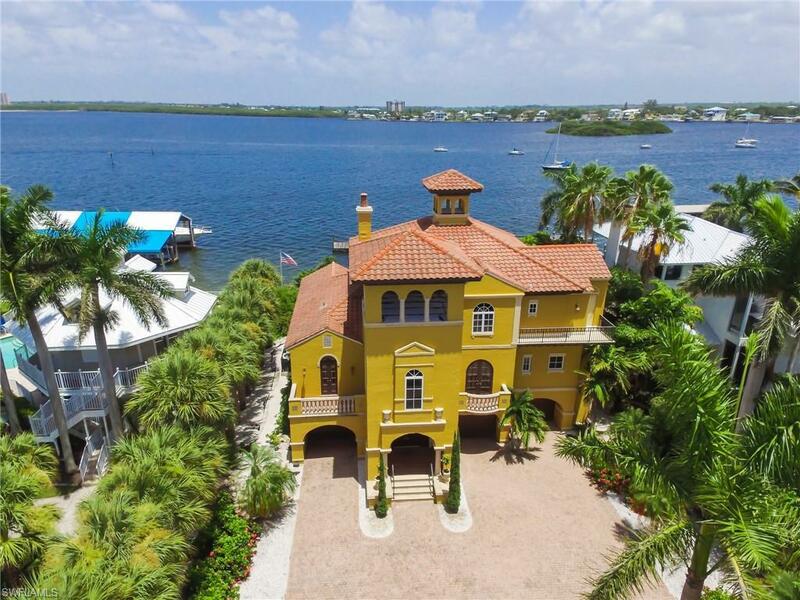 This showcase home has been featured on 'Out and About SWFL.' Enjoy tranquil views of the Bay. 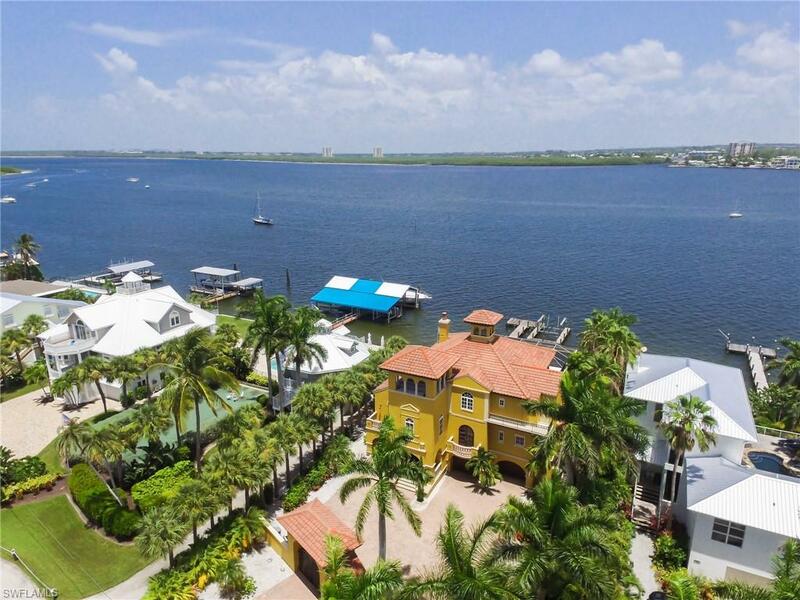 Private captain's walk with boat lift and majestic views of Matanzas Pass--no bridges to the Gulf. This home features a screened in oversized pool with adjoining spa. Volume Tray ceiling in Great Room. Crown molding throughout the home offers elegance at every turn. Elevator, Fireplace, Open floor plan with slider doors open to the covered lanai with expansive Bay views. Open kitchen with granite & stainless and plenty of counter space and cabinetry. Split bedrooms with Master suite on the first floor. The Den with built-in desk and shelving is ready to accommodate your home-based business or library for you and your students. Additional bedrooms on upper-level share Jack and Jill bath with separate vanity and double sinks. Plantation shutters throughout. This home has celebrated many a happy occasion with family and friends and is now ready for you to make memories with your family. Listing courtesy of Augustina Holtz of John R. Wood Properties.